In the XII century and before, the pass of Bran was one of the most important trade routes. From the other side, the importance of this pass which was used by the Cuman riders (a Turk population adopting the name of the small river and transferred it to the fortress and the medieval village “Turcu” in the neighbourhood) was obvious to the Teutonic Knights brought here by the Hungarian king Andrew II in 1211 for the defence of Barsa Lands (now Brasov County) against attacks of the pagans the Cumans. There are other reminders in local names eg.Tohan from the turkishdogan = hawk. The old Turkish adopted name for the River from the Turks, shows us that there was the old route for the Cumans to enter into Transylvania. At the beginning of the XIIIth century the Teutonic Knights on their true name „The Knights of the Hospital of Saint Mary from Accra“ with their High Commander from Venice came into the Barsa Land (the old name of the Brasov County). The entire order did not arrive, but a small group. During the time when their high commander Hermann von Salza was on the Holy Land, those settled in the Barsa lands were ruled by the crusader Theodoric, who, obtained an important fiscal privilege from the king on 7th May 1212. Because the rock where would eventually be built Bran Castle was called prior to 1377 Theodric’s rock (lapideTeodrici), it seems likely that a wooded fortification was built here by his order. 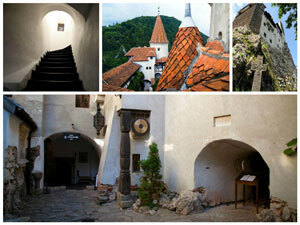 Maybe it was one of the 5 citadells of the Teutonic Knights in Transylvania. The citadel at Bran, was built because of the war between Ludovic I, the Hungarian king, between 1375-1377 and his neighbours to the south and east. It was also a direct result of the fighting in the summer of 1377 against the ruler of Romanian Country Radu I. The new citadel was a perfect solution to block the valley. Today when you say Bran, people understand usually only the castle on the rock, 60 m. high. Just a few of them will see 2 ruined walls situated at a distance of 200 m. which closed the pass between the Citadel Hill and Magura Hill, creating an interior yard which together with the castle formed the Bran Citadel. From 1380-1382, king Lodovic I of Anjou, imported crossbow archers here from Scotland and brigands, to defend the castle. In this place, in 1690 the soldiers of the Austro Hungarian Empire stopped the Romanian army of Constantin Brancoveanu, forcing him to detour and then defeat the Austrian army to Zarnesti. The Bran Citadel fulfil edits military purpose until the XIX-th century. 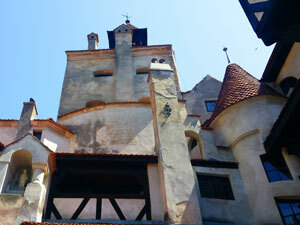 On December 1st, 1920 the City Council of Brasov gave the castle to Queen Maria as a donation. This would be restored under Karel Liman’s direct guidance and become the Queen’s summer residence. The changes following the 1920 restoration did not affect the medieval aspects, but gave added special charm and comfort; electricity and running water were introduced and the rooms were remodelled and redecorated. 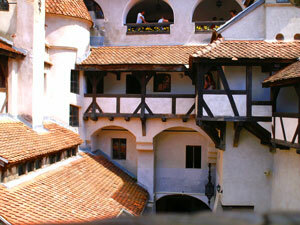 For the first time in south-eastern Europe, the Castle had an elevator which was used by the Queen. A small lake was dug around the Castle and a there was also a „tea house“ where the Queen served tea according to the English custom. The Bran Castle is situated on top of a rock which rises above the surrounding terrainand is bordered by an outer wall, a dungeon, a gate tower and a round tower. The outer stone wall has arrow slits and observation points. The dungeon is situated in the north and also had an observation role. One can see the original wall 57 m. high from the courtyard of the Castle. 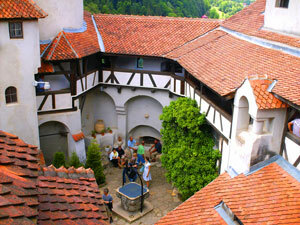 In 1948 the castle turned into a museum which has three departments. The first department - „The Castle“, is the medieval history and art department which reveals the original functions of the castle in the Middle Ages and during the royal residence period. Over 6000 items are exhibited here, belonging to decorative art, mouldings and folk art, weapons, and period furniture. The collections were from Queen Maria’s former collection (acquisitions or donations). 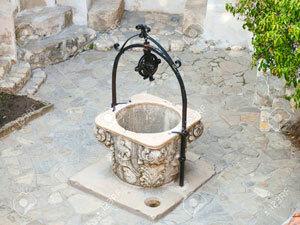 The oldest piece of furniture is a table in the Gothic style from the 14th century. Other valuable pieces are the canopy bed in the Italian Baroque style from the 18th century, a set of furniture in the neo-Rococo style from the 19th century and some rural pieces of painted furniture from the 18th century. One can also admire an amazing collection of ceramics, carving and China with works from Italy, Germany, Persia, Holland, England, Spain, France, China or even Romania. Among these, the tea set from Talavera, Spain, a 17th - century Chinese tray belonging to the Tin dynasty, an 18th century Italian amphora are specially outstanding. Nearby there is „Queen Maria’s Heart“ Chapel where, according to the monarch’s last wish, the casket containing her heart was deposited in 1940.